Bon Iver, Bon Iver is going to be divisive, that much is sure. 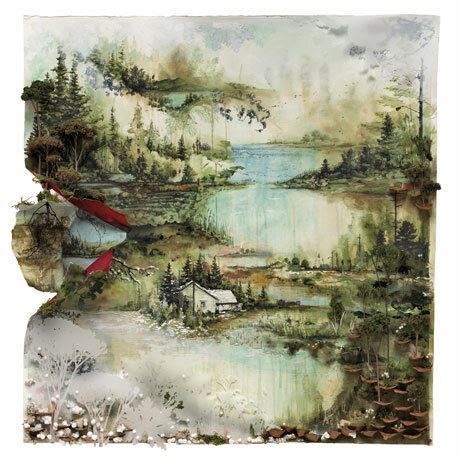 Whereas For Emma, Forever Ago was an intimate, depressing album that really only found Justin Vernon as its creative influence, Bon Iver, Bon Iver makes it apparent that Bon Iver is actually a band. The small, cramped acoustic pieces that made up the debut have now given way to bigger, grander songs that feel fleshed out and fully realized. Yes, the “I was depressed so I made an album in a cabin in the woods” feeling is completely gone, yet has been replaced by a bolder, and ultimately more beautiful sound that utilizes an entire band, rather than a man and his acoustic guitar. 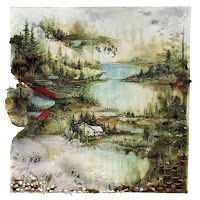 Bon Iver, Bon Iver really doesn’t have much in common with its predecessor. Justin Vernon still has that light and airy voice, but the effect on it has been toned down quite a bit, and in some cases it has been completely eradicated. His vocals add a lot to the charm of the record, and they’ve thankfully escaped becoming a novelty, and sort of arisen as a signature. His acoustic guitar is featured extensively, but shares the light with more electric instruments, and often times with strings and brass. It feels more alive, teaming with all sorts of sights and sounds not felt before. It “sounds” fantastic, but those achievements seem dull in comparison to the incredible leaps in songwriting. Literally, every piece contained within is outstanding in its own right. Where it was a fairly easy task to pick a standout in their debut, choosing one here is nigh impossible. Breathtakingly beautiful “Holocene,” soulful “Minnesota, WI,” and part-cheesy “Beth/Rest,” with their moments of beauty and poise, make the album what it is--captivating and unforgettable. Bon Iver, Bon Iver as was said earlier, will divide fans. Those who fell maddeningly in love with their debut may stick in the past, still becoming entranced from the subtle sounds in the quiet beauty of a wintry cabin, while others will embrace the bold step forward the band has taken. No, this isn’t For Emma, Forever Ago, and truly, it is all the better for it.